During our 4 month stay in Cape Town we visited several wineries and tasted as much wine as possible rating more than 114 different wines (all rated in Fran’s Vivino profile). It has been quite a pleasure to be able to taste so many excellent wines in such a short amount of time and we want to share this experience with you. We were able to visit as many wine farms as our schedule allowed us to and we decided to put together a list of our favourites, considering not only the quality of the wine but also the overall experience, i.e. service, views, wine estate. The closest wine farm to Cape Town deserves, in our humble opinion, the first place on this list. Not only is it very convenient to get there given its location (30 min from the city center) but the service is excellent too, the views are unsurpassable and their wine is just awesome. Go for their inexpensive premium tasting, which is the 7 wine voyage. You won’t regret it. Their white Constantia Glen Two was elected best South African white wine of 2014 and their red Constantia Glen Five is simply fabulous. Note: Make sure to book in advance, they get booked up very quickly during the weekends! Go for the 360º tour through the vineyards to sip a glass of wine on top of the hill overlooking the wine farm. Make sure to book in advance! 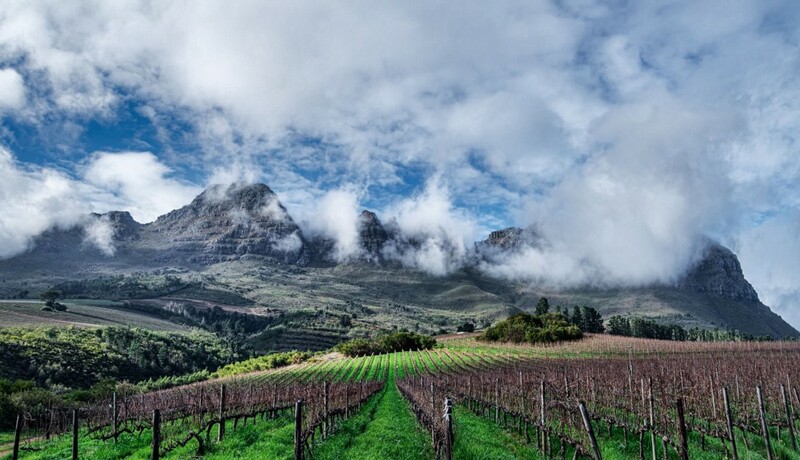 Situated on the slopes of the Helderberg Mountains in Stellenbosch, this family boutique wine farm produces some of the best wines you will taste. Most of their wines (if not all of them) are aged for 92 months before being released to the public. That’s more than 7 years before they can actually sell a bottle! If you’re into aged and strong wines, this is where you need to be. 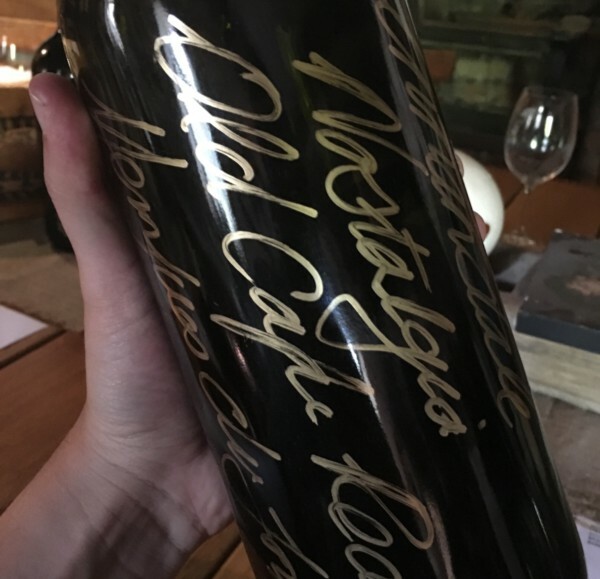 We had the chance to buy and enjoy a bottle of their very special Nostalgia edition which is not sold anywhere else but in the farm. Close to Annandale but much higher in the same slopes, you’ll find this extraordinary place. Enjoy the views while you have a nice degustation combined with a cheese platter. From their terrace you’ll be able to catch a view that goes from Cape Town down to Simon’s Town. 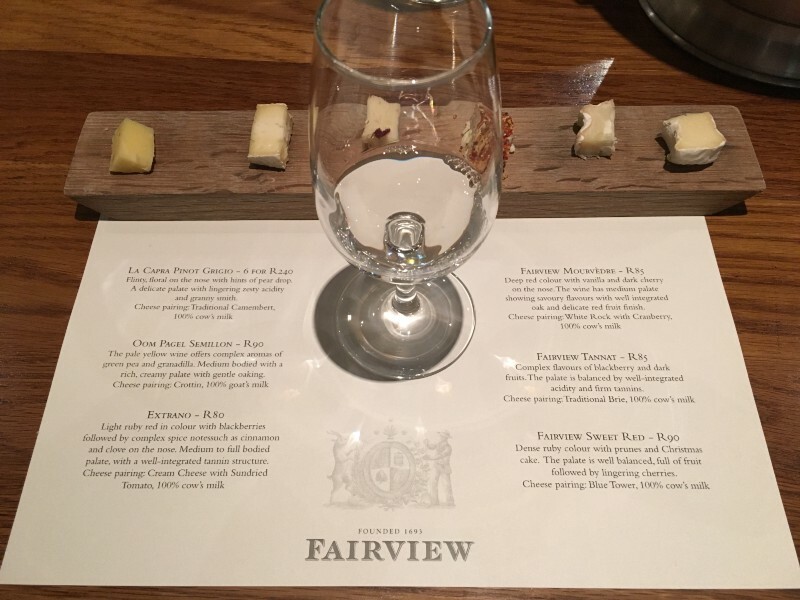 This is a very big factory and they have a huge variety of wines for all tastes and budgets, but what made us include Fairview in this list is their cheese & wine pairing. Very amusing experience in a cozy tasting room. This was the first wine farm that we visited and also the first time we got to taste a South African Sparkling MCC (Methode Cap Classique, aka “champagne”). We couldn’t find any other MCC that was better than their Monro Brut 2008. Their location is very nice and captures the sense of “tropicalness” that we find really nice in most SA wines. Probably the most commercial winery of this list but it has earned a place here due to the delicious picnic baskets they offer which can be enjoyed chilling in the grass with views on their lake. We find their red blends quite good, especially the Trilogy. Note: Make sure to book in advance, they get booked up very quickly during the weekends! 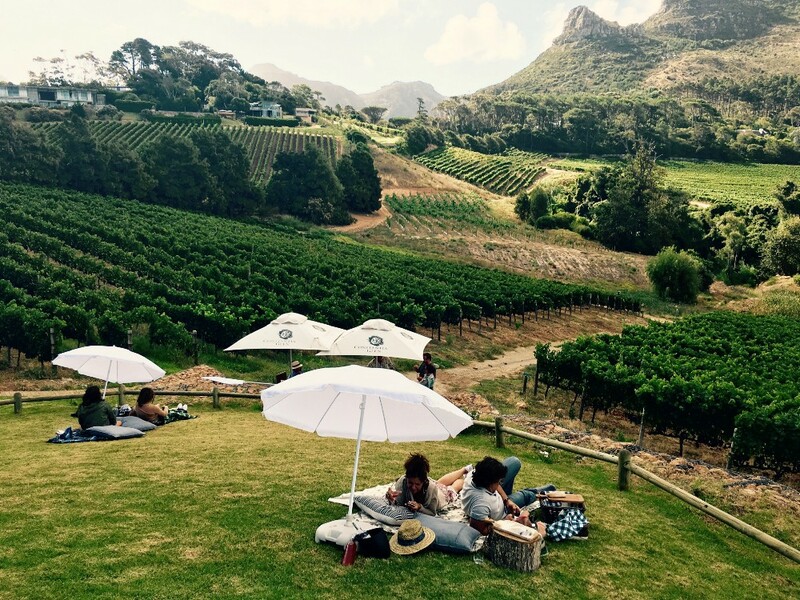 This is a limited list, but it includes some of our favourite wineries in the Stellenbosch region. Are you traveling to the Western Cape soon and need some recommendations? Contact us today and our Personal Travel Planners will be happy to help you!